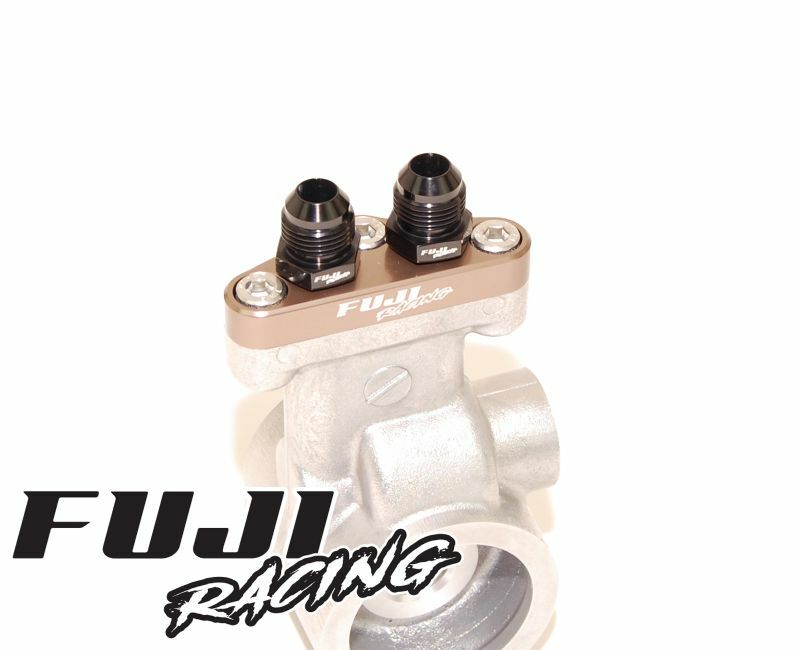 Designed specifically for the SPEC-C model Subaru Impreza this handy adapter allows the option to run custom flexible oil cooler lines produced from a range of hose material (including 200 series, 210 series and more). 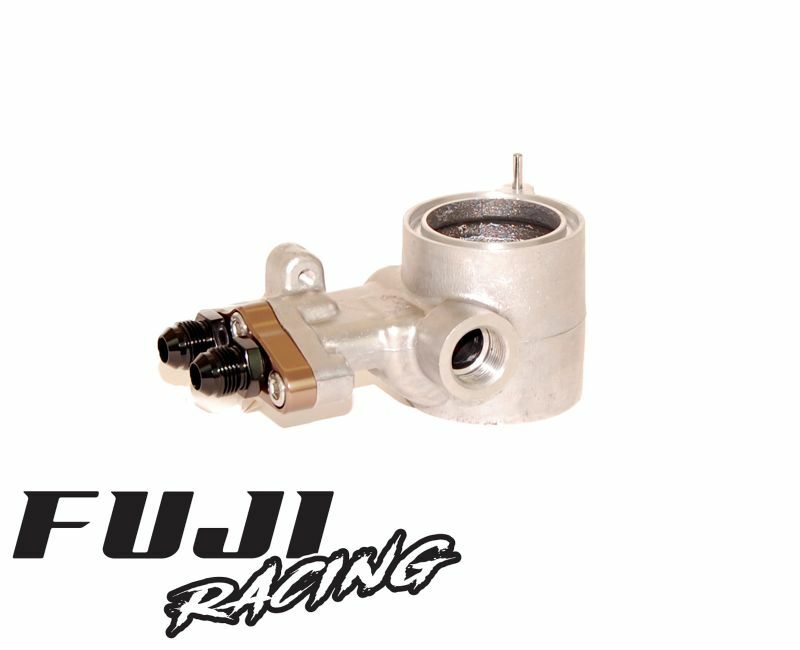 As the SPEC-C models gracefully age it is common for the factory steel external oil cooler pipes to corrode and eventually fail. 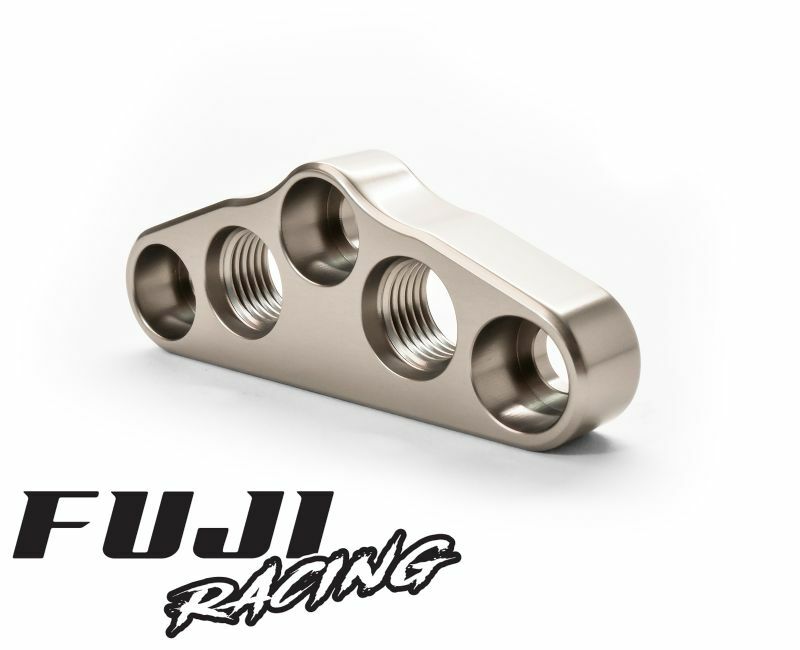 This can lead to excessive oil loss and in some extreme cases engine failure. 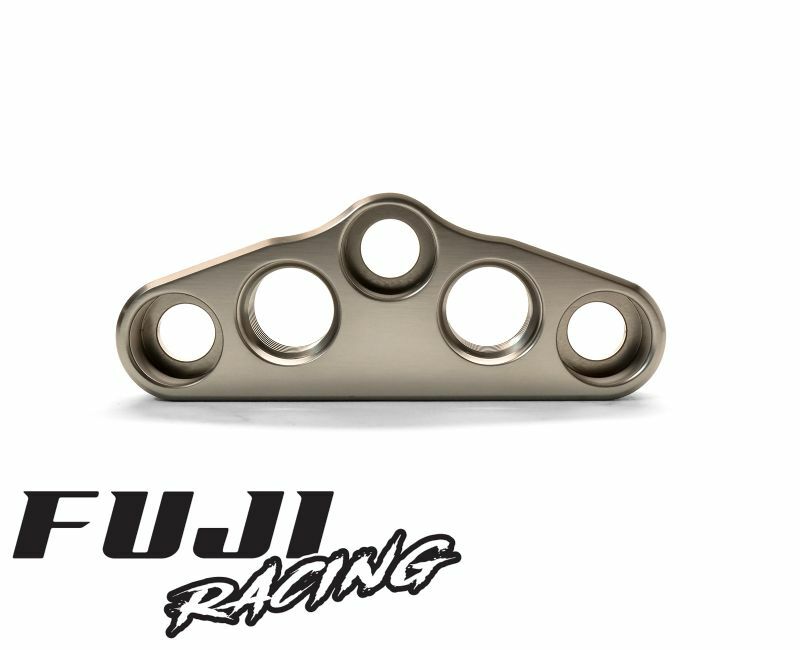 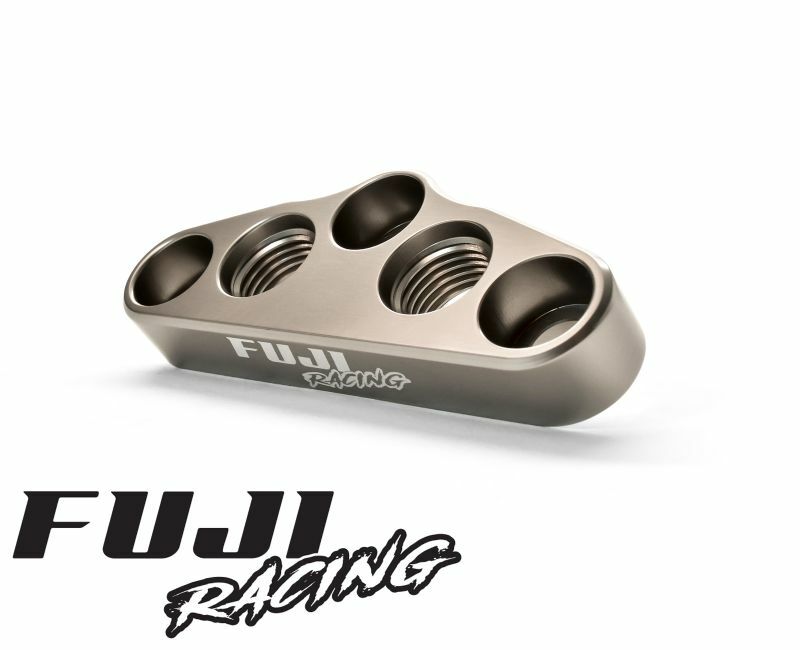 The Fuji Racing adapter features two AN6 (9/16 UNF) female ports to enable AN6 or AN8 oil lines to run to the oil cooler. 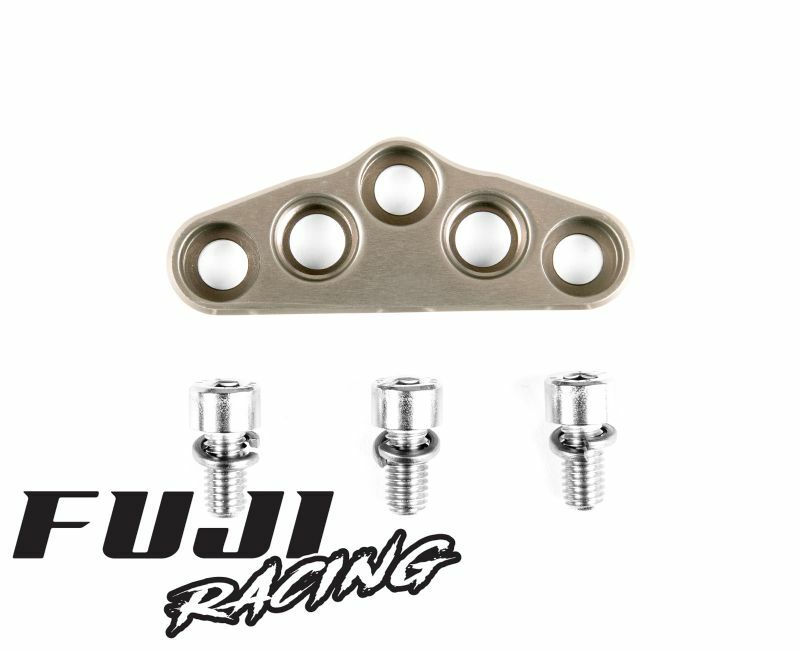 Each adapter is also supplied complete with X3 replacement stainless steel cap head bolts.